It’s no secret that professional sports is a multi-billion dollar industry. But where exactly does most of this money come from? You might think it’s from the billions of sports fans who fill stadiums worldwide, often shelling out a good deal of money for the privilege. Or maybe it’s from the lucrative sponsorship deals that make those stadiums look like screenshots from a ‘Guess the Brand’ mobile app. The truth is however that a large amount of sports revenue comes from a side of the of the industry little know to the wider public: corporate hospitality. Take rugby, for example. Twickenham Stadium reported £37.5 million revenue from rugby hospitality in 2013, but only £33.9 million from general ticket sales. So with most of the best seats and experiences sold off to businesses, are the everyday fans missing out? 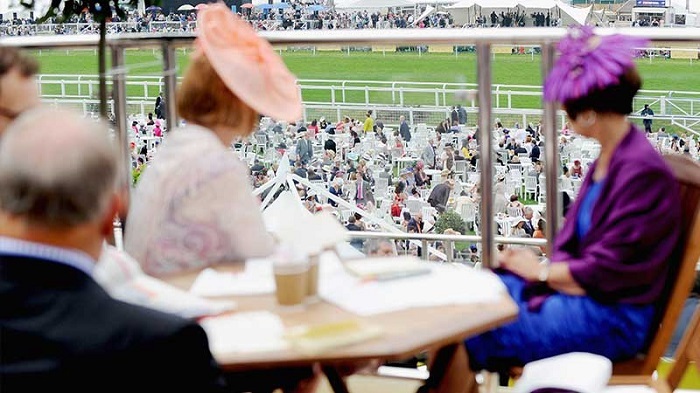 What is sports corporate hospitality? Sports hospitality is the practice of selling tickets to corporations who wish to offer a friendly day of schmoozing to their clients, themed around a particular sport. For high end or luxury businesses, taking clients to these kinds of events can often be a vital part of the transaction process. Think of it as the foreplay to the sweet climax of making a big sale. With this in mind, it is clear that those who are invited to corporate hospitality events are 1) not necessarily interested in the actual sport and 2) probably earning enough to afford their own tickets. Both of these truths are a shame because sports hospitality packages are the stuff of supporters’ dreams. Before you start getting present ideas for the rugby fan in your life, remember that these packages come with hefty price tags of hundreds or thousands of pounds per person per game. And most firms only sell them in bulk to corporations. Where does the hospitality money go? 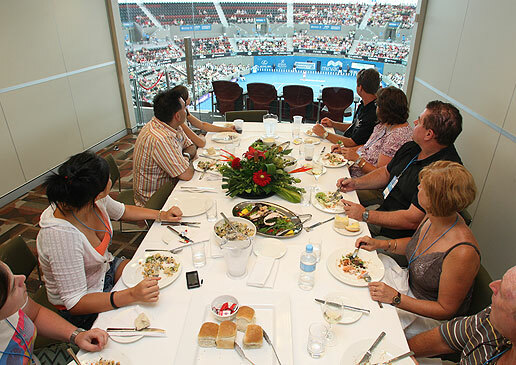 Sports grounds and teams officially license out the right to offer corporate hospitality to their events, often for large fees, giving them more money in the bank to keep hosting or playing games. Hospitality groups themselves also earn significant profits from these corporate events. Most of these arrangements happen behind closed doors, but there is one high profile case that made headlines. Team USA may have topped the medal table, but the real winner of the London 2012 Olympics was hospitality firm Prestige Ticketing. Prestige paid a staggering £20 million to sell corporate hospitality packages to the Games.The packages cost up to £4,500 per head, meaning one lunch table for the opening ceremony cost £45,000. With prices like these, it’s no wonder some have estimated that Prestige made up to £3 billion at London 2012. Considering the £9 billion of public money that was used to fund the Games, this was controversial to say the least. According to David Cameron (remember him?) the UK economy was ‘boosted’ by £9.9 billion after the London Olympics, but the Federation of Small Businesses says this is an overestimate. Even if this total is accurate, the country could have made much more money by selling corporate hospitality rights off at a higher rate. Does sports hospitality benefit the fans? This side of the industry benefits hospitality providers, sports grounds and teams, in addition to the corporations buying the packages, but what about the fans and supporters who dedicate themselves to the beautiful games? Since most of them can’t attend a £4,500 dinner, what are they getting from this arrangement? On the surface: not a lot. But actually they could be. Running stadiums, tournaments and teams is expensive. Granted, that’s somewhat down to the hugely bloated salaries of certain sports industry professionals, but unless thousands of people agree to take pay cuts, there is little we can do to change that. With this in mind, the money made from corporate hospitality is likely offsetting the price of season tickets for dedicated fans. Without this added income, the industry would probably rely even more heavily on corporate sponsorship to make up for it, and ticket prices for average fans would be much higher than they already are.